World Toilet Day, celebrated on November 19, is about taking action to ensure everyone has a safe toilet by 2030. This is part of the United Nations’ Sustainable Development Goal (SDG) 6: sanitation and water. SDG 6 aims to ensure that everyone has access to a safe toilet and that no one practices open defecation by 2030. However, according to the official World Toilet Day website, the world is not currently on track to achieve this goal. Today, 4.5billion people live without safely managed sanitation and 892million people still practice open defecation. In 2018, the campaign is focused on promoting ecological solutions, like building toilets and sanitation systems that blend with our environment. The campaign is promoting nature-based solutions (NBS) to the sanitation and water crisis that harness the power of ecosystems. For example, one option are composting latrines that capture and treat human waste on site, producing a free supply of fertiliser to help grow crops. Also, human-made wetlands and reed-beds can filter waste water before it is released back into water courses. 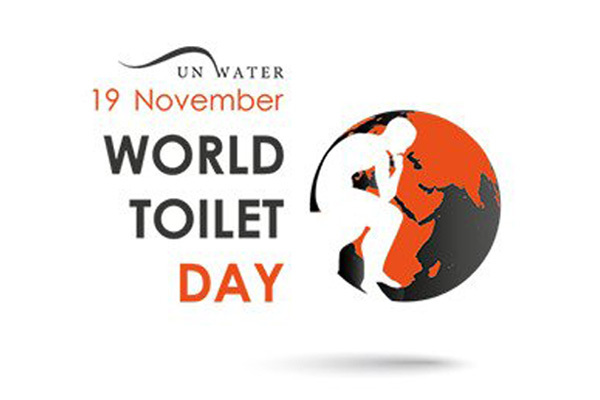 Check out the official World Toilet Day website to find events to attend in your area, as well as information about the crisis and first-hand stories from those affected.